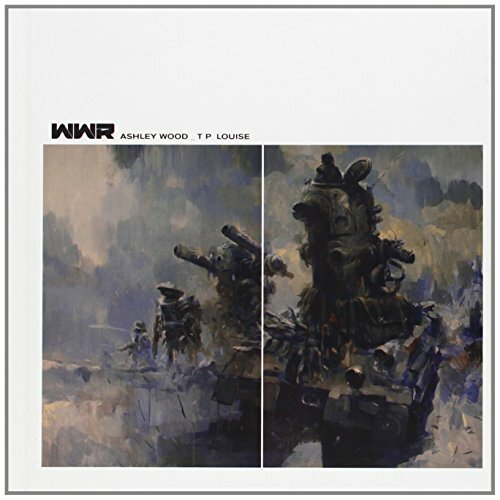 Here's another World War Robot book from Ashley Wood. And it's starting to get a bit confusing now. First there was World War Robot, then came the second volume (2009), then came the Complete World War Robot (2010) which supposedly collects artworks from the previous two books, and now there's the World War Robot: 215.mm Edition. This 215mm edition has 70 new pages of content. The book now has 176 pages as compared to the 96-page Complete World War Robot (2010). So I guess this 215mm edition is more complete? See how it gets confusing? This edition is called just that because the book measures 215mm on both sides. It's a squarish hardcover book. Inside are the scenes of war from Ashley Wood's imagination painted in mostly brown and muted tones. The images are certainly interesting and there are some excerpts from people who have went through the war. But those text are just disjointed individual accounts of war. Anyway, if you have the earlier books, then it's not worth the money to get this book since most of the content and art are duplicated from earlier publication.